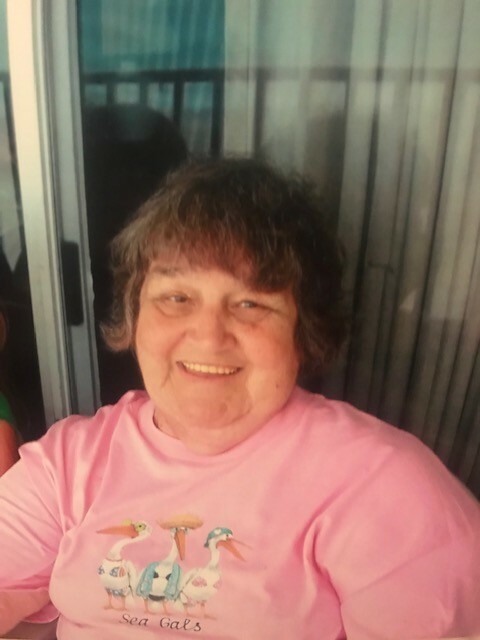 76 of Florence, Kentucky passed away Thursday, January 31, 2019. Mary was born June 3, 1942 to the late Bill and Ruth Phillips. In July of 1958 she married Roger Edmondson, who preceded her in death in 2014. Mary was known for her infectious laugh and unconditional love that she showed everyone she met. She will be sorely missed by her family whom she leaves behind: children Christy Egan, Randy (Lynn) Edmondson, Donna Drifmeyer, Earl (Meghan) Edmondson and Michael (Sharla) Edmondson; grandchildren Amy, Bruce, Jennifer, Michael, Chelsea, Amanda, Hollie, Dustin, Chelsi, Tiffany, Peyton, Molly, Logan, Jared and Kaizen; 17 great grandchildren; 1 great great grandchild; sisters Dianne Marshall and Willie Ruth Hooks; many extended family and friends. Mary is also preceded in death by her brothers David, Albert and Thomas “Fat” Phillips. A Memorial Gathering will be held at the Edgewood Senior Center,550 Freedom Park Drive, Edgewood, KY 41017 on Wednesday, February 6, 2019 from 6pm until 10pm. A private Inurnment will be in Floral Hills Memorial Gardens. Please visit www.floralhillsmemorialgardens.com to leave online condolences. Floral Hills Funeral is serving the family.